By now, we are all very convinced how amazing dry shampoos are. And I know a few of us who’d struggle to live without it! 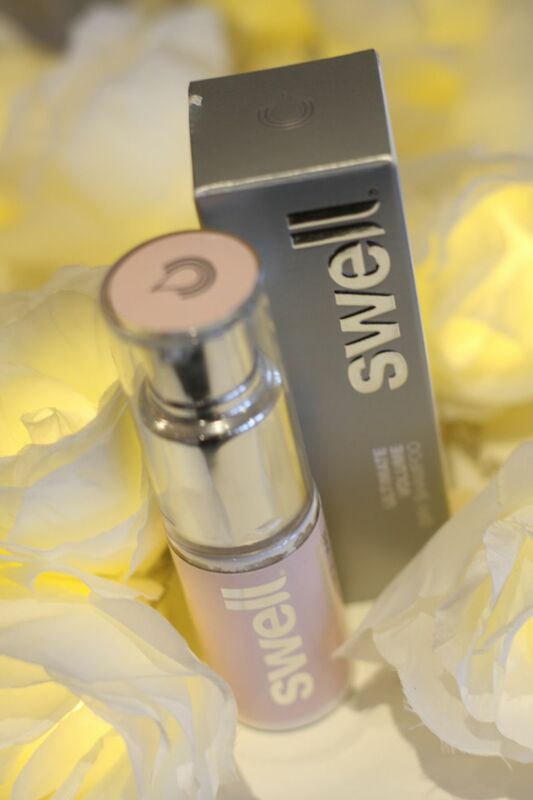 Swell, the fantastic brand catering for fine and thinning hair has possibly the best one in the market: the Swell Ultimate Volume Dry Shampoo. What I really like about this is, apart from the fact it has 97% natural ingredients, the way the pump works. This a powder product, but their unique eco-pump diffuses the powder very well, creating the finest of mist that sticks to hair, not only absorbing the grease and making it look cleaner, but also giving a little bit of volume. Although the powder is white, there is not whiteness at all to dark hair after you massage it in and brush. In fact, it is barely visible on application! The smell is very discreet and fresh. Hair feels light, there is no build up, tackiness or coarseness. It really feels like you never applied anything. Plus, if you, like me, have fragile, thinning hair, you can rest assure no nasties are sticking to your scalp – this product carries no silicones, parabens, SLS or create chemical build-up. It is also suitable for vegans. It might seem like a tiny bottle, but don’t be fooled: this product goes a long way, with up to 65 applications. You can get the Swell Ultimate Volume Dry Shampoo for £20 from their website. 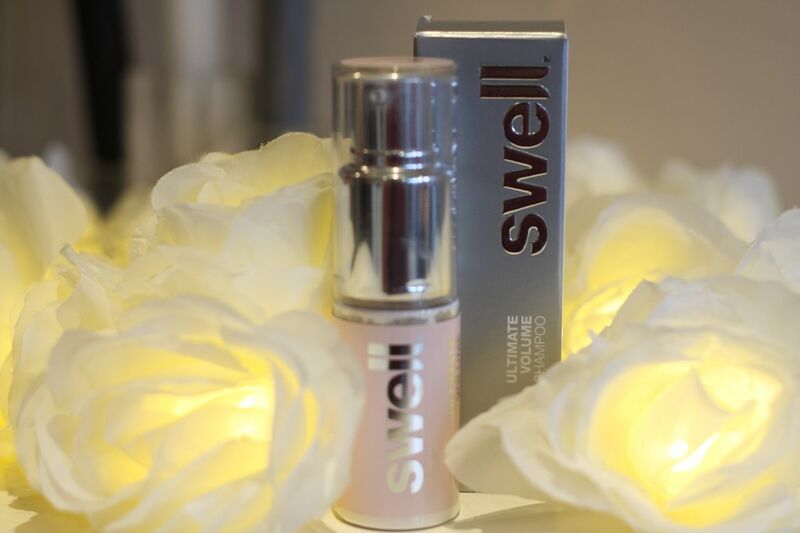 I have to add that I have been using Swell products for quite sometime and nowadays, not many other products touch my hair (apart from the odd taming and styling product), and they have made a true difference to my hair in the long term. I will certainly re-purchase the range. 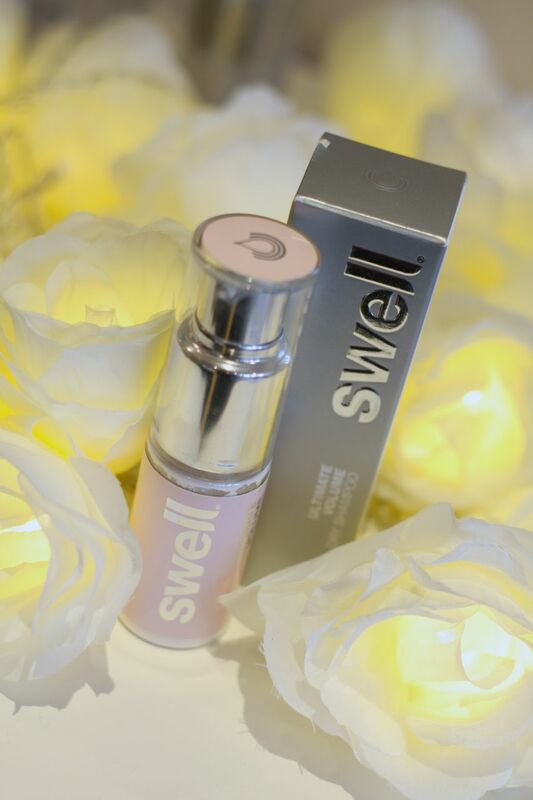 You can read my review of the Swell volumising three-step hair system here. Well worth the investment.